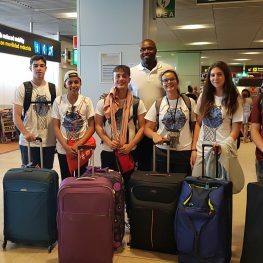 This option is for the participants that will be traveling round trip with Willie Ladson from Ourense, Spain to JFK airport in New York. The expenses of all transportation arriving to and from Ourense, within Spain, are included in this option. Round trip transportation from Ourense – Madrid – JFK. Food in the airports and during the NYC tour(Each participant is responsible to buy their own food).